Investors have no ability to view or access the cap table information for your company. 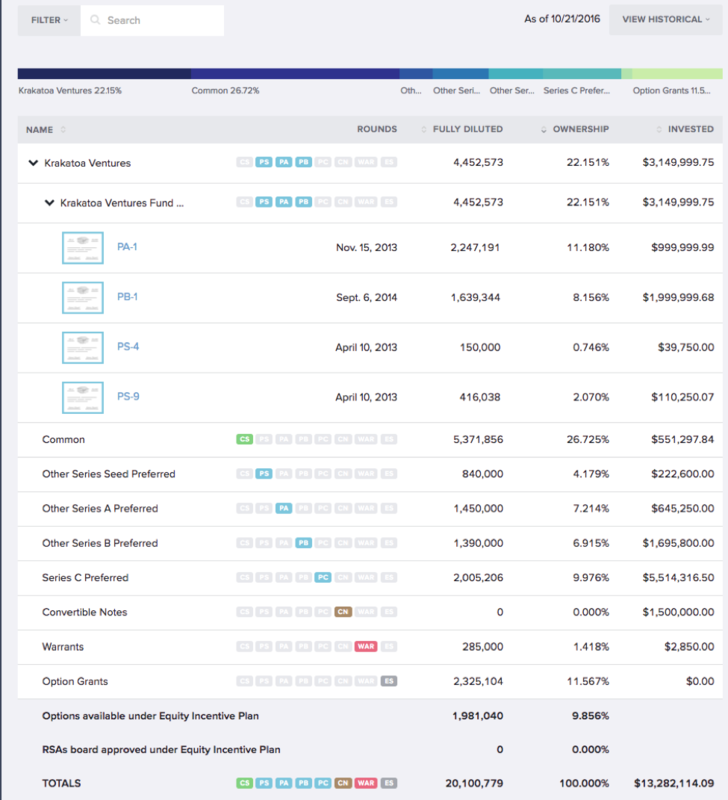 Individual (fully diluted) access allows investors to view a detailed summary of their own holdings and their ownership percentage in your company. They can also see the balance of the fully diluted shares aggregated as a single line item. Investors with this view are not able to see detailed information about any other shareholder or share class level data. Summary access allows investors to see detailed information about their own holdings but only share class level information for any other holdings. Summary access includes option strike price details. Investors can download a basic cap table report. 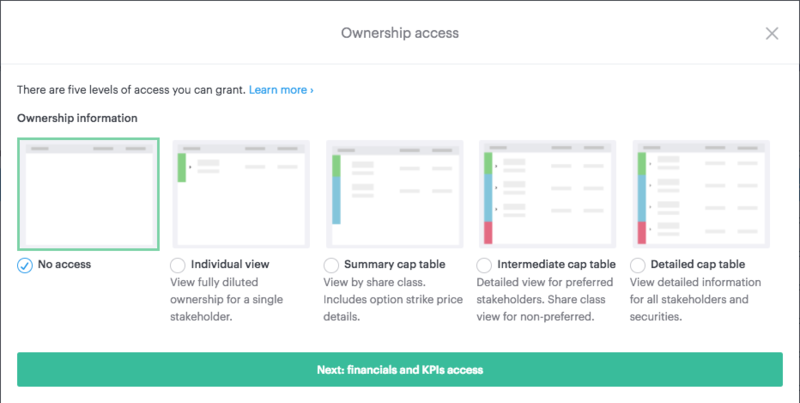 Intermediate access grants detailed ownership data for preferred stakeholders and share class level data for non-preferred stakeholders. 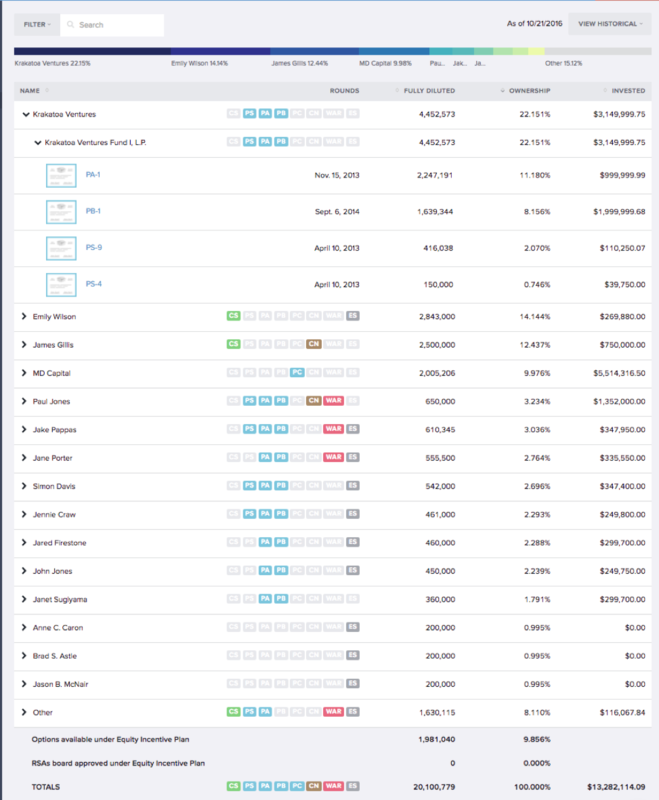 Common stock and options are grouped into one line item each, at a basic level so investors do not have the ability to view stakeholder details for these classes of stock. 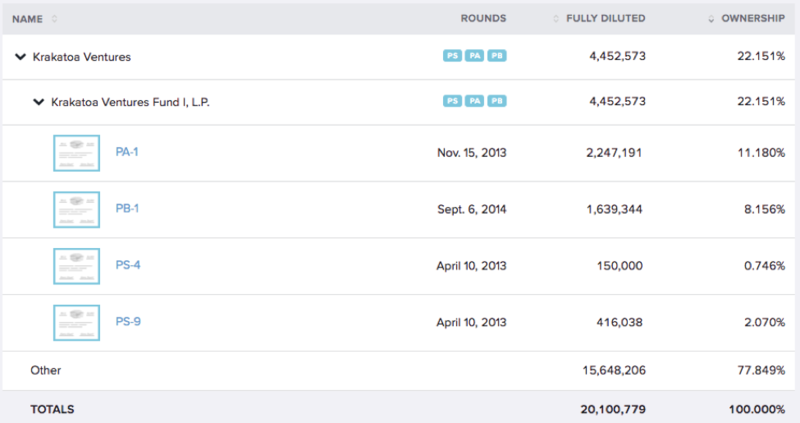 Detailed access grants detailed ownership data for all stakeholders and securities. 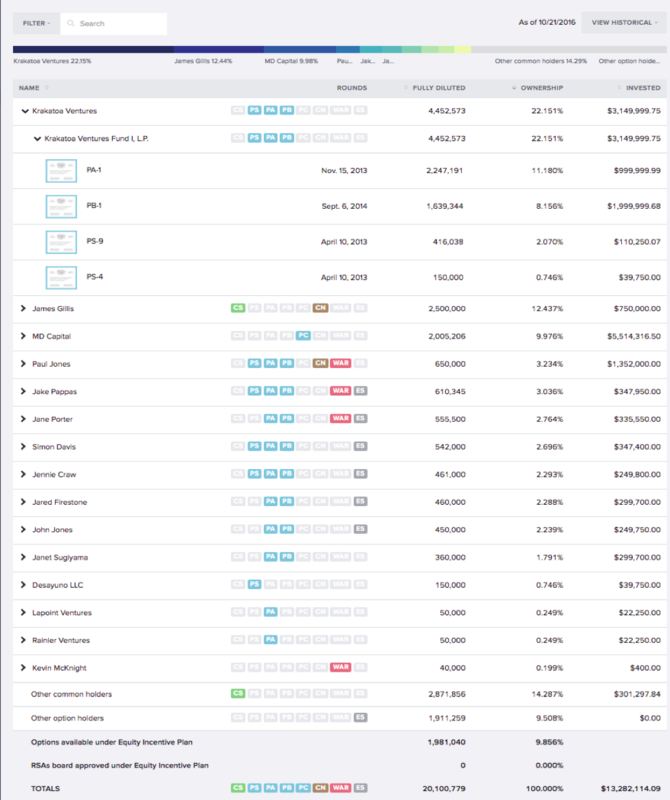 They can view all holdings by stakeholder and are able to access the round modeling and waterfall analyses as well as download a report that includes your detailed cap table.